I agree. Post was spot on. I really hope you are wrong. 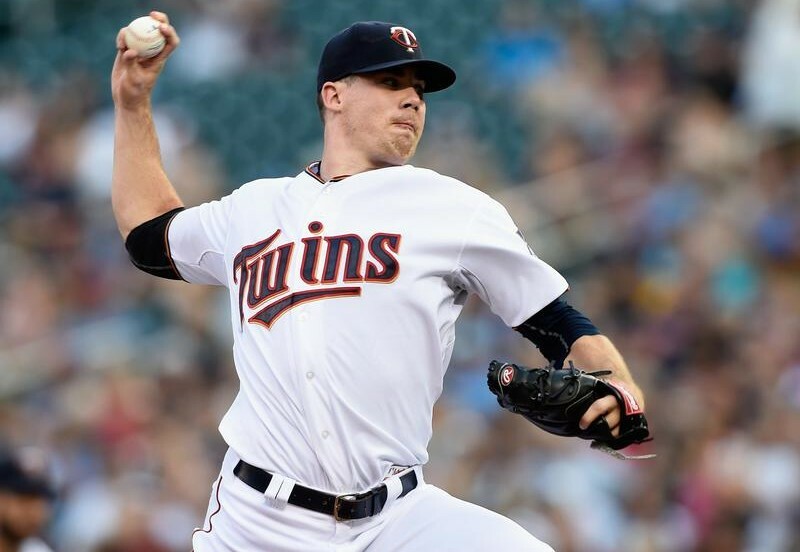 It’s easy to argue that right now Trevor May is the best starter on the Major League roster. I was disappointed to see May become a reliever, because I think he has value as a starter and the Twins definitely need them. However, if he became a lights out 8th inning guy with the opportunity to slide up to the ninth inning as a closer, then that would be awesome. Just think where we would be if we could regularly close games with confidence. Unfortunately, while he has been very good, he has not been lights out. Given his performance, I would rather see him be a mid-rotation starter than continue in his role. You forget that closing games has zero value if you have a bad starting staff that can’t get you to the 9th with a lead. I think the larger point here is that if you include the universe of starting pitchers, it’s not all that difficult to find a really good 8th inning guy. I doesn’t really matter that Trevor May is good as a reliever. Good starting pitchers are going to be good 8th inning guys in most every case. There are a subset of pitchers that aren’t good starting pitchers but, for whatever reason, can make good 8th inning guys. Those are the pitchers you should have in your pen, not the ones that are good starters as well (which should just be starters…. ‘cough cough’ Trevor May ‘cough’). Yeah, I guess I’d say it’s not all that difficult if you’re willing to throw your SP into the 8th inning spot. In essence, pretty much every team with a good rotation has at least 5 guys that could handle the 8th inning, they’re just providing more value being in the rotation. What is difficult is both fielding a decent 5 man rotation plus a solid 8th inning guy. I’d bet any of Pelfrey, Milone, Hughes, Santana or Duffey would make a fine late inning reliever. I don’t think there is anything about May that makes him more suitable as an RP over SP compared to any of the guys in our rotation. If you buy that, then swapping May for Pelfrey or something like that would improve the staff. If they make this move permanent, I’m counting on you to shred them for this move like they deserve. There is no justification for moving your best and youngest starter to the bullpen ever unless injuries or durability are a concern and May has shown so far to be quite durable. I’m pretty sure Johan Santana was a reliever for a little while. Can’t he be or model? Remember how Greinke did not seem to put it all together as a starter when he was with the Royals. Then they moved him to the bullpen and eventually he was able to correct what was wrong in his delivery and gain confidence. Often, that’s why starters get converted into relievers. But it’s only to give them a chance to get it right. Greinke eventually was given another chance to start and the rest was history. Maybe May will follow the same path for the Twins. The Padres too will most likely try the same thing with Drew Pomeranz this year since he seemed to do very well last year in Oakland when they moved him to the pen. I’m positive these guys will eventually get to start again once they build more confidence and actually learn to use their arsenal effectively.